Black Dog Bay, Delaware is the place women run to after horrible break-ups. It’s filled with businesses such as the Better Off Bed-and-Breakfast, Whinery, Rebound Salon, Eat Your Heart Out Bakery and the Naked Finger jewelry store. All these businesses are run by women who came to Black Dog Bay to recover from broken hearts. Brighton decides to visit her college roommate, Kira, who just started her psychiatry practice in Black Dog Bay. Brighton’s engagement to Colin has just ended and she is throwing her structured and planned life out the window and taking off a few days to catch up with Kira. As Brighton arrives in Black Dog Bay, she finds herself being introduced to the resident bachelor, Jake Sorenson. When she receives a call from Colin that he has married a woman he just met, she one-ups him by flying to Vegas in Jake Sorenson’s private jet and marrying him while sending texts to Colin of the whole event. None of this is part of Brighton’s life plan and as an actuary, she is constantly weighing all the risks after they return. When the risks start to feel too overwhelming, she decides to have fun with it and take a few weeks off a work. She even takes some time to dabble in her favorite hobby, jewelry design. Brighton finds she can easily picture herself living this life of wealth and creating jewelry, but it is too full of risks. Brighton can’t believe that a marriage built on revenge can really be about love and stand the test of time. Of the three books in the Black Dog Bay series, this was the most unrealistic for me. All three of the novels in the series have been fun, light-hearted, and witty. But, this storyline felt a bit more forced and contrite for me. I didn’t connect with the characters as much because the true romance piece to the story wasn’t until the very end. Even though it is a quick and satisfying read, and the setting of Black Dog Bay makes for a creative story, the romance in this one was a bit dull. Kendrick has created a unique setting for these Black Dog Bay novels and each of them stands on their own as well as reignites some of the much-loved characters from the other novels. A romantic interlude, spontaneous decisions, and a close-knit community make for an entertaining read. It took over half-way through the novel for the dog in the story to be introduced. I think the cover is cute and eye-catching, but not sure it if is the right cover for this book. The dog on the cover isn’t even the type of dog described in the story. “This was the real problem with marrying someone she didn’t know. 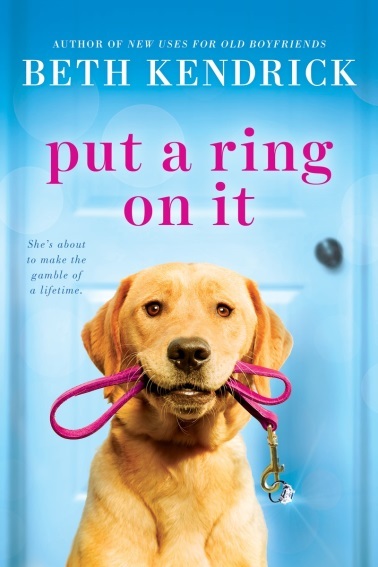 Beth Kendrick is the author of THE WEEK BEFORE THE WEDDING, THE LUCKY DOG MATCHMAKING SERVICE, AND NEARLYWEDS, which was turned into a Hallmark Channel original movie. Although she lives in Arizona, she loves to vacation at the Delaware shore, where she brakes for turtles, eats boardwalk fries, and wishes that the Whinery really existed. 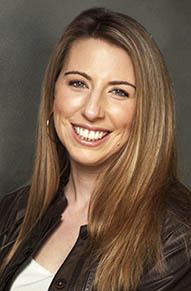 For more on Beth Kendrick, check out her website, HERE. You can also find her on Facebook, HERE, and Twitter, HERE. Thanks to the publisher for sending a copy of this novel for the purpose of this review. This review is my honest opinion. I was not compensated in any way for this review. If you choose to purchase a copy of this book through the above link, I may receive a small commission without you having to pay a cent more for your purchase. Thanks for supporting SincerelyStacie.com.